Manchester, Manchester University Press, Human Remains and Violence , , 272 p.
Whether reburied, concealed, stored, abandoned or publicly displayed, human remains raise a vast number of questions regarding social, legal and ethical uses by communities, public institutions and civil society organisations. 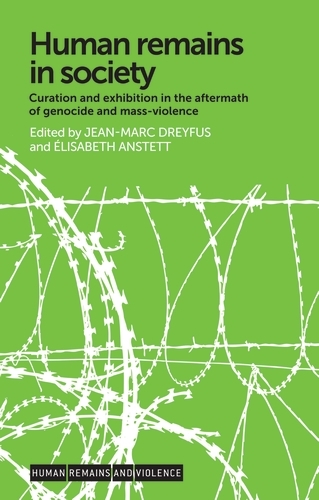 This book presents a ground-breaking account of the treatment and commemoration of dead bodies resulting from incidents of genocide and mass violence. Through a range of international case studies across multiple continents, it explores the effect of dead bodies or body parts on various political, cultural and religious practices. Multidisciplinary in scope, it will appeal to readers interested in this crucial phase of post-conflict reconciliation, including students and researchers of history, anthropology, sociology, archaeology, law, politics and modern warfare.